Pascal Picotte grew up just south of Montreal in Granby, Quebec, near one of the more popular race track of the 1970s and 1980s, Sanair International. Pascal’s initiation into motorcycle racing came via Michel Mercier’s FAST Racing School – a relationship that would prove key just years later. 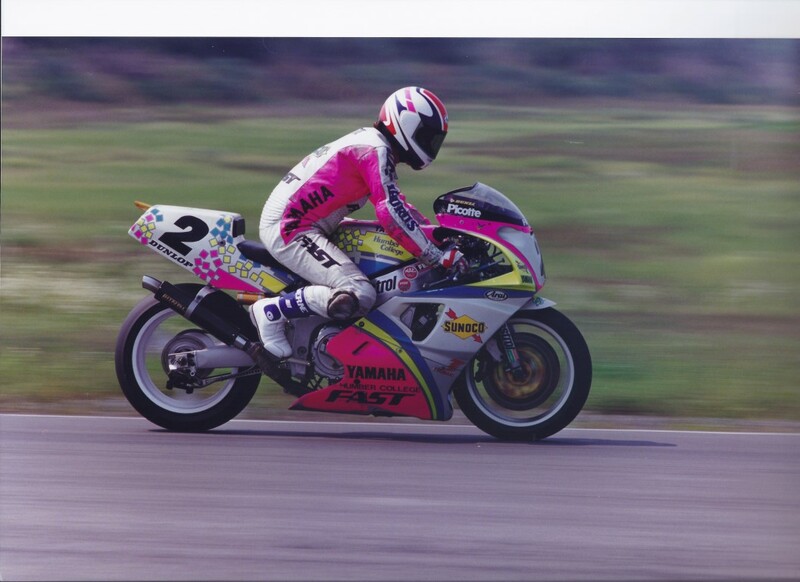 By the time he was 18, Picotte was the top ranked Amateur road racer in Canada, competing in the Yamaha contingency supported lightweight production and Cup classes aboard RZ350 and FZR400 machinery in 1988. 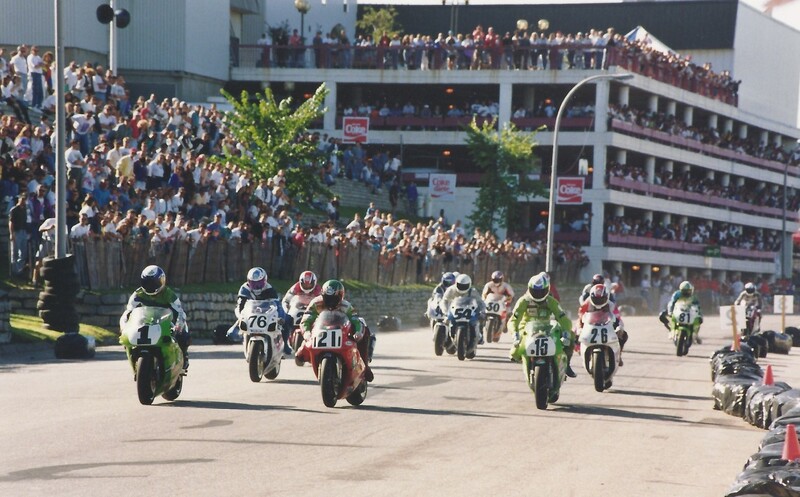 As a rookie Pro in 1989, Picotte took advantage of the brand new Yamaha FZR600 to run at the front of the very competitive Pro 600 Production class on the Motoplan/Castrol Canadian National tour. He also showed well in his AMA National debut at Daytona and Loudon, where he earned a strong eight in SuperSport. In 1990 Picotte joined mentor Michel Mercier on the new Sunoco FAST Yamaha Superbike team, riding a near-stock Yamaha FZR750RR 0W01. 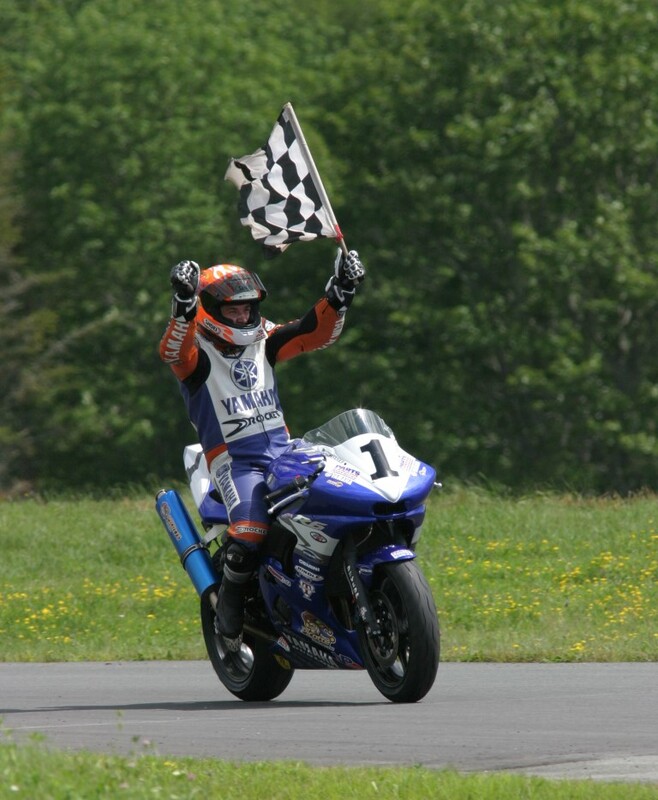 Picotte ran at the front of the Superbike class all year, finishing the season in a terrific fight for first at the Shannonville National against Miguel Duhamel. Picotte also made his Superbike debut in the U.S.A., earning ninth at Loudon, New Hampshire. 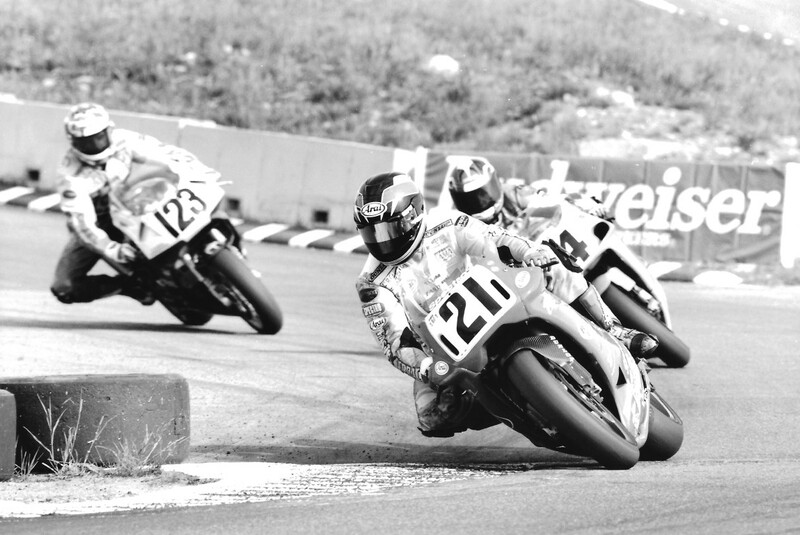 Picotte completed 1991 with a strong ride at the invitational Superbike event in Mexico. 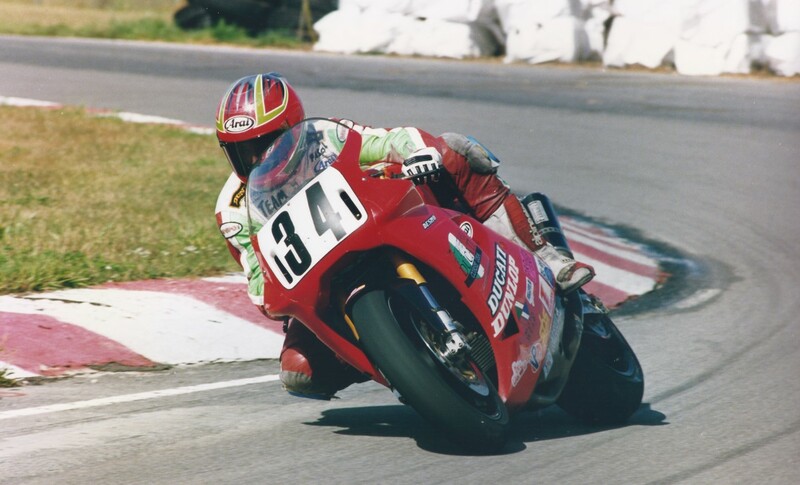 1991 was a break-through year for Picotte, leading the Yamaha Canada effort early in the season and then joining Fast By Ferracci Ducati in the U.S. as a development rider. He won three Pro Twin races for Ducati in the U.S., and was fourth in the Superbike race in Miami. His abbreviated campaign in Canada included wins at Race City in Calgary and the World Superbike round at Mosport. 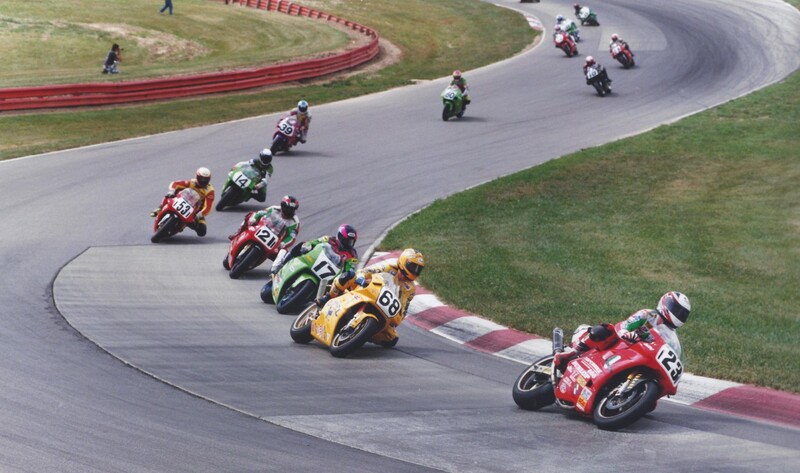 For 1992, Picotte focused on the U.S., taking eight of nine victories to earn the Pro Twins Championship, as well as a couple of Superbike podiums on his way to fifth in Superbike points. Picotte also took the works Ducati to Canada for a couple of races, edging arch-rival Steve Crevier at the Shannonville finale. 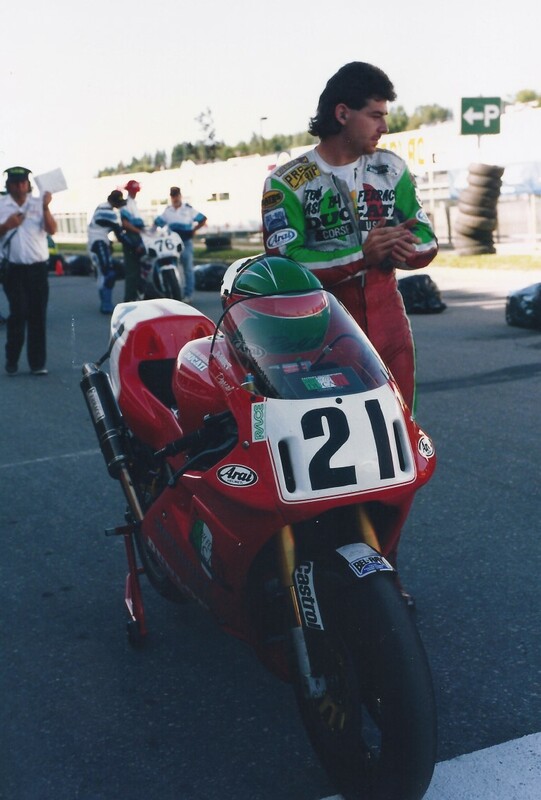 Continuing with FBF-Ducati in 1993, Picotte was unbeatable when he raced in Canada, winning at Sanair, Calgary, Shannonville and on the Alma streets. In the U.S., he netted tenth overall in Superbike, his best result a pair of seconds. The next season, he wound up ranked fourth in AMA Superbike, with break-through victories at Laguna Seca and Road America. Picotte moved to Muzzy-Kawasaki for 1995 and struggled with a shoulder injury, earning podium placings in both Superbike and Super Sport. Picotte then moved to Yoshimura-Suzuki, earning the famous squad their first Superbike win in six years at Mid-Ohio, and also nabbing four 750cc SuperSport wins with the new GSX-R750. Moving to another new Suzuki in 600 SuperSport in 1997, Picotte won four 600 class races, winding up a close second in SuperSport and sixth in Superbike points. 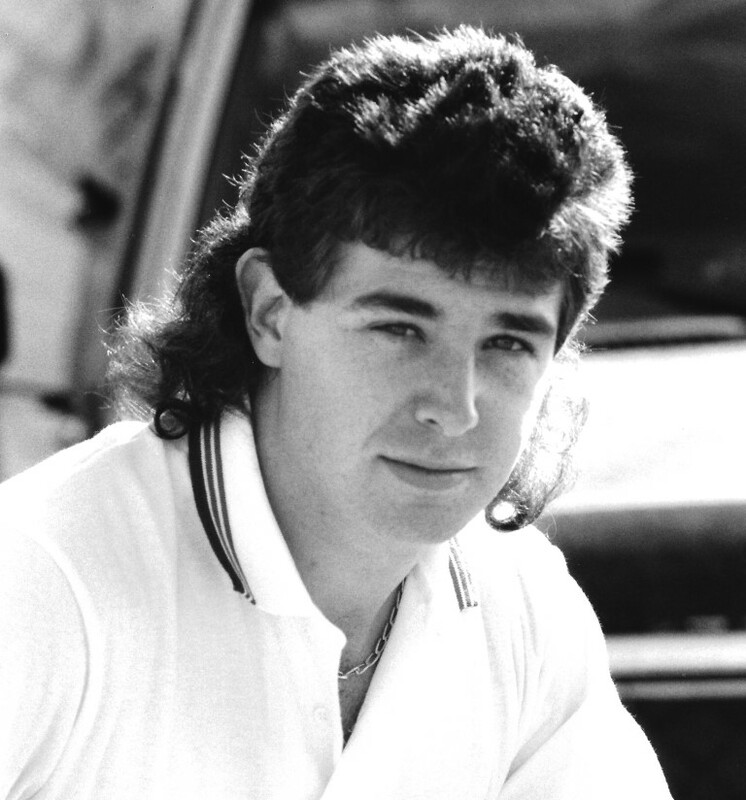 During this period, he also mentored young Quebec teen-aged sensation Kevin Lacombe, supported Canadian flat trackers and eventually opened his own Picotte Performance Shop. In 1998, Picotte started his famous four-year tenure with the beleaguered works Harley-Davidson superbike, showing considerable promise working with Canadian chassis guru Dale Rathwell. He dazzled at Daytona, and was fourth at Pike’s Peak and Las Vegas. The next year, was third at Sears Point and a strong second at the Pike’s Final. In 2000 Picotte managed to get the VR1000 a first-ever finish in the Daytona 200, winding up ninth, but the team disbanded at the end of 2001. Picotte returned to Ducati for 2002, joining Austin racing late in the schedule to earn fourth in the Championship standings. 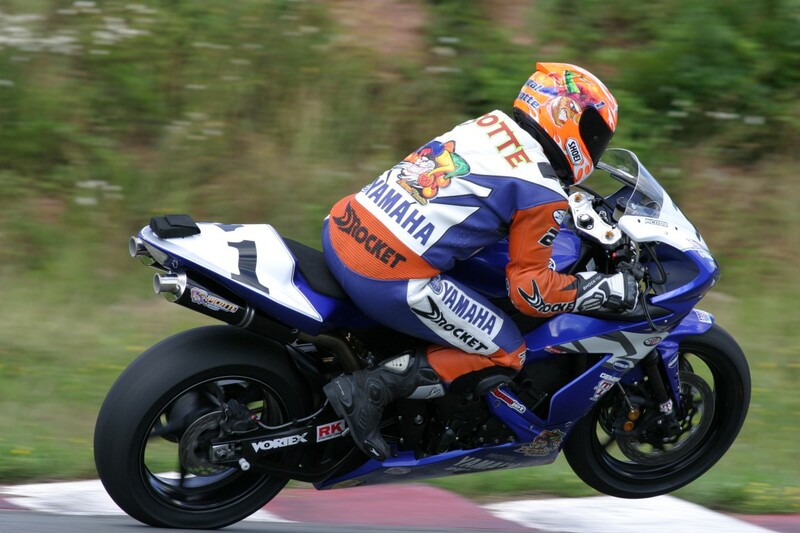 In 2003 Picotte returned home, his new team running the Yamaha Canada program in the Parts Canada Superbike Championship. 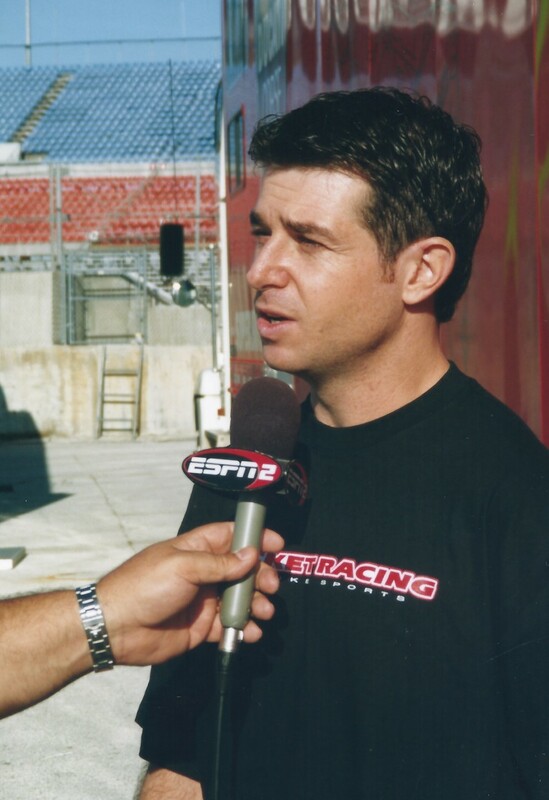 With new rules aimed at creating parity, Picotte dominated the action for two seasons, twice winning both the Superbike and Pro Sport Bike National titles. At times, Picotte qualified almost two seconds faster than the rest of the National field. Picotte’s success continued in 2005, although injuries limited him to wins at Mosport and Shannonville. By 2007 he opted to focus on team-management, running Francis Martin, Matt McBride and Chris Peris for Blackfoot-Suzuki. In 2009, Picotte regrouped around rising star Brett McCormick, and fought against the works Kawasaki squad of Jordan Szoke all season, McCormick winning four of seven Superbike races. The Picotte team also entered a Canadian super-team of McCormick and Duhamel at Daytona, before the recession forced Picotte to focus on his other business interests.